Two fantastic harmonica album releases today from two very different players. If you’ve spent any time at all with me talking harmonica you’ll know about my deep appreciation of Joe Filisko, his playing, promotion of pre-war blues styles and harmonica in general. 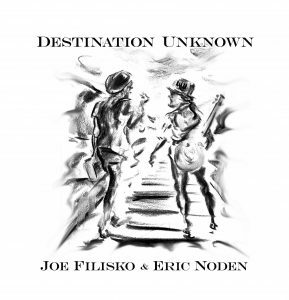 Destination Unknown is the fourth album in partnership with guitarist Eric Noden. It’s acoustic but covers a lot of ground style wise, from blues and gospel to jug band and cajun. Recorded the good old fashioned way – live into one microphone – it sounds vibrant and personal. I’ve only had time for a cursory listen so far but this is going in the car CD player for an extended sojourn for sure. You can get Destination Unknown either physically or on download from CD Baby, iTunes and probably other places too. The second album is perhaps a harder sell to those with more conservative tastes but I’d urge everyone to give it a go. Aki Kumar is a student of David Barrett and has recorded a few albums, both under his own name, with the band Tip of the Top and one with David Barrett and Gary Smith (It Takes Three). He about as fine a traditional Chicago style harmonica player as you’ll find anywhere. A quick YouTube search provides plenty of evidence if you don’t believe me. Hindi Man blues is his second disc smashing together the worlds of blues and yes, Bollywood. A lot of Bollywood music has a distinct western influence anyway so this isn’t as crazy as it may seem. And it really works. 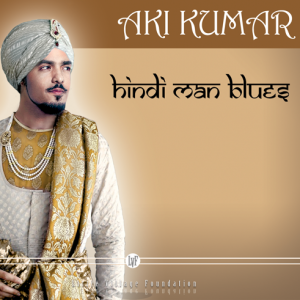 Both Hindi Man Blues and his previous album Aki Goes To Bollywood are a genius melding of the two styles. I’d encourage you to search youtube for some of his live videos. Both albums feature stellar bands of Bay Area blues alumni and were recorded at Greaseland Studios. You can hear Hindi Man Blues on Spotify and buy it at CD Baby and iTunes.